+ Duracell can power just about anything, now they can power humans too. It seems that the makers of the world famous batteries have joined the fold of energy drinks such as the likes of Red Bull. The cans look like giant batteries. 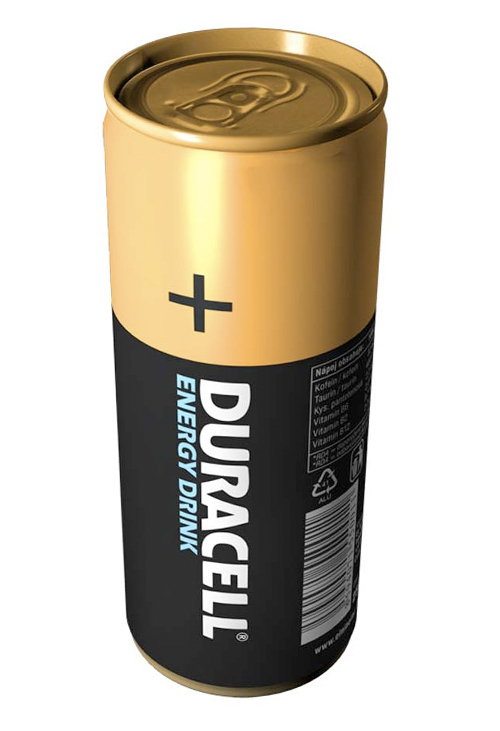 + Duracell Energy Drink is not in reality a Duracell product but it comes from a European drink maker called El Nino Beverages. The copper-top canned energy drink was introduced in the Czech market since 2008.